Not sure of what you should start learning? 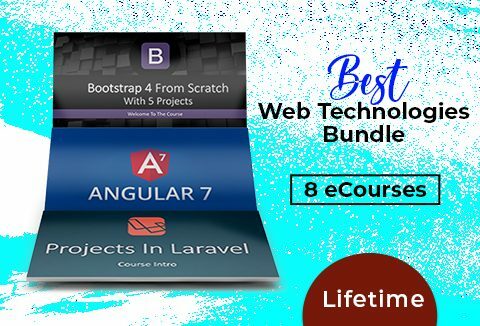 Get your hands on the aspiring web development technologies of 2020. Get future ready with this bundle. Buy now for just $51612 $39 only! Upgrade now to the latest version of angular from scratch. Enroll now to learn more about modules, directives, components, etc. in this angular 7 tutorial. Build real world themes with Bootstrap 4 tutorial & build 5 projects from scratch such as Looplap, Mizuxe, Blogen, Glozzom & Portfoligrid. This full stack tutorial is a one stop shop that will help you learn all different technologies to build website & apps on the go. You will get Certification of completion. Stay updated with the latest web technologies to take maximum advantage.